Sometimes you can see something in a way that is like seeing it for the first time. 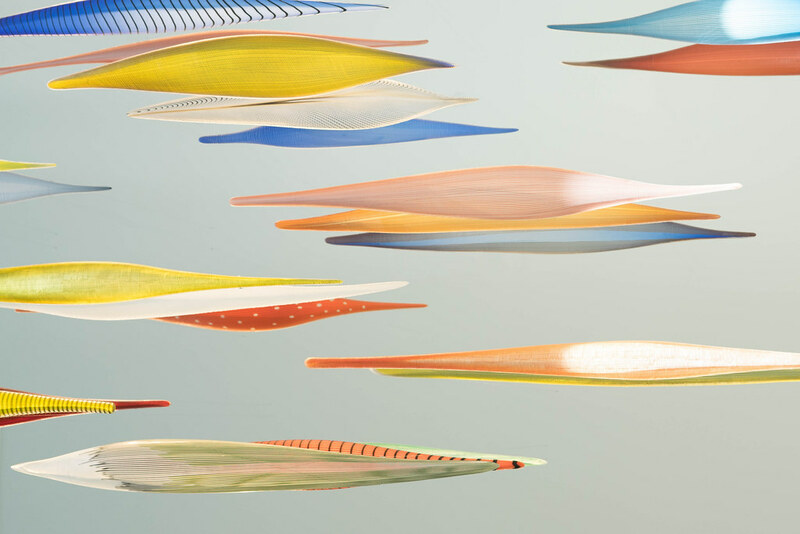 This is a glass installation hanging in the lobby of CMoA, the Columbus Museum of Art in Columbus, Ohio. I’ve created images of it before, but this time I saw something completely different in the work. What led to this new appreciation of the forms? I looked up. The way they float there, seeming to move forward, is dreamlike. Yes, I was enthralled by the new point of view.